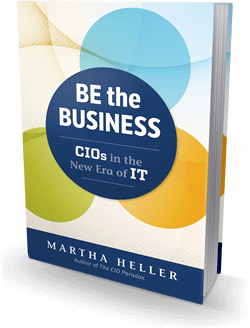 Martha Heller is a widely followed thought leader and speaker on the CIO profession and IT leadership. Martha Heller has been a contributor on CIO.com for 19 years. She was founder and Managing Director of the CIO Executive Council, a professional organization for Global 1000 Chief Information Officers. She is the author of two books: The CIO Paradox: Battling the Contradictions of IT Leadership and Be the Business: CIOs in the New Era of IT, and she is CEO of Heller Search Associates, a CIO and IT leadership executive recruiting firm she founded in 2010. Target Research recently named Martha as the top influencer of U.S. CIOs in the human resources category, and the number two CIO influencer overall. Over the years as a columnist, public speaker and executive recruiter, Martha has conducted in-depth interviews with thousands of CIOs on their greatest challenges and triumphs. These first-hand stories “from the trenches” allow Martha to bring the CIO experience to life. As a keynote speaker, Martha brings to her audiences a combination of substance and personality. She is relaxed and humorous while commanding the attention of executives with the most relevant insights on the challenges they face as business leaders. "Martha captured the essence of the CIO job, and what makes it so important and so unique. It was a pleasure to be in the room. "- Mike Skinner, SVP & CIO, Board of Directors, Eurpac Service, Inc.
Martha Heller’s brand new keynote address, “What it Means to be a Transformational IT Leader,” inspires CIOs and their senior leadership teams to embrace their roles as enterprise leaders in the digital era. Today, the most successful CIOs think in terms of “products”, not “projects”, and transform their teams from order-takers into co-creators who work in lockstep with their business partners. Transformational IT leaders understand that while they are accountable for systems, systems is not their job. Their job is to create a vision for the company’s future. Throughout her talk, Martha illustrates her messages with real transformation stories from some of the world’s most successful companies and with highly relevant lessons learned from the CIOs who led those transformations. When software and data make their way into your company’s products and services, where does IT stop and product engineering start? When a growing percentage of employees have technology skills, should they all report into the CIO? When information technology meets operations technology, do CIOs become COOs? How do we operationalize cross-functional collaboration? Companies across a wide array of industries have recognized that “digital” is a team sport and are redrawing organizational boundaries to drive transformation. When IT’s role was to support business strategy, CIOs needed people who could understand a set of business requirements, translate those requirements into technology solutions, and deliver those solutions on time and on budget. But in the new era of IT, when technology informs, or even defines, business strategy, CIOs need a different kind of IT professional. They need to transform their teams from order takers to order shapers and cultivate a new mindset in IT. In order for IT deliver on the promises of technology in the digital era, IT professionals must understand the business context in which they are working. They need to focus on business outcomes, not IT activity. But how do you take a team of technologists, whose tool set undergoes a paradigm shift every eighteen months or so, and focus them on business outcomes? In this dynamic session, Martha Heller draws on interviews with hundreds of CIOs to illustrate how today’s IT leaders are driving that change. There is no one path to senior IT leadership. IT executives have backgrounds in development, operations, business leadership and even finance. But one attribute that all IT leaders share is the knowledge that they need to manage their careers. 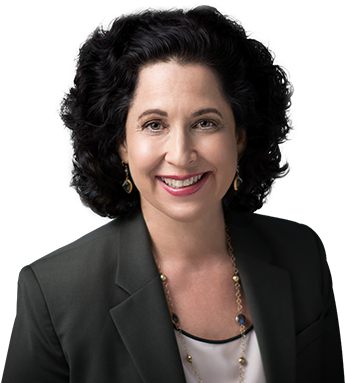 In this lively and dynamic session, Martha Heller will offer advice for managing your own IT journey. Digital change is everywhere in business today. In some industries, it means engaging more effectively with customers; in others, it’s about creating new data-driven products or accelerating service delivery. 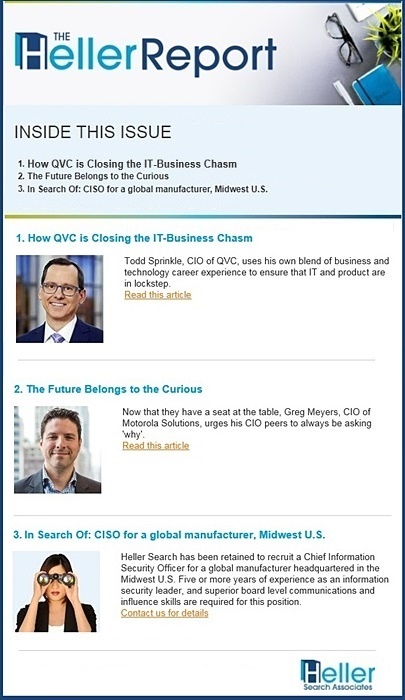 All this potential for business impact has the attention of CEOs, CMOs and other senior executives across the enterprise – and they expect their CIOs to deliver. So how are you driving digital change in your company? Martha Heller leads a lively town hall discussion of the leadership challenges and emerging issues around the CIO’s role in the digital enterprise. Computer science enrollments are at an all-time low. Your baby-boomer workers are retiring and taking their legacy knowledge with them. Competitors and start-ups are going after your top technologists. Is your recruiting organization positioned to win this latest war on talent? Are you developing “blended executives,” or IT leaders with a balanced mix of technology and business skills? In this session, Martha Heller discuss how top CIOs are responding to the tightening talent market with aggressive approaches to hiring, retaining and developing their people. Interested in booking Martha Heller as a Speaker? Join thousands of IT executives who read our career advice and resources for the strategic technology leader.